Home » Media » Thought of Trying a Technology Fast for Lent? Updated 9:52AM, Thursday December 13th, 2012	by Sam Hailes, Christian.co.uk Be the first to comment! Social media technology is responsible for the creation of websites such as Facebook and Twitter and alongside it, an entire industry. It’s been responsible for both job creation (anyone need a ‘social media coordinator’?) and matching employers with employees through sites such as LinkedIn. It's even been responsible for countless romantic assignations and many marriages thanks to the rise of internet dating sites. So how does social media technology effect real-life relationships? 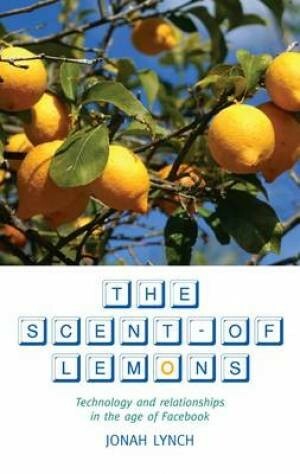 That’s one of many questions Italian seminary rector, Jonah Lynch, asks in his new book The Scent of Lemons. The title came about during what the author calls a “eureka moment”. Jonah explains that he isn’t attempting to give a broad ‘yes’ or ‘no’ answer on whether or not people should use technology. “I’m not trying to take sides. The idea of the book is to show various aspects of technology and its effect on human relationships in the first place, but also other aspects like attention, concentration, memory and so forth, from a neurological point of view. The Irish priest is sceptical of those who claim to be 'friends' with thousands of people. Aware that such comments have been made my many others, Jonah is happy to admit the that the onus is on him to explain why another book about technology is needed. “What do I have to bring to the table? One of the things is my faith. Christianity is an exaltation of the material world. We’re talking about God incarnate. That means there’s something special about the material world and not just the spirit. “It’s an interesting angle, because a lot of the time we tend to think of the virtual world as a copy or extension of our normal real world. But one of the things I try to underline is that the human person is incarnate. We live in the flesh and you can’t really say that an experience that happens without the flesh is on the same level as an experience that happens in the flesh. At just over 100 pages long, Jonah has aimed to make his book pithy but weighty. He points out that the subject matter is not only interesting but affects all of our lives. 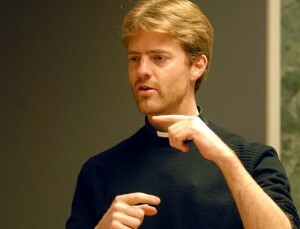 Jonah argues that there are times in life where being connected to technology can “impoverish” our own experience of life. “I’m not talking about throwing away everything that has an 'on' switch. I’m just talking about being able to decide that there are certain moments where it’s better to not have interruptions from any other source. If you’re telling a joke; and there’s the first brother that does this and there’s the second brother and the third brother... and you’re working up to the climax then someone’s phone rings, that punch line falls flat. A real life example of a place which should be free from interruption is Jonah’s own seminary. “When the first year students come in, I ask them to spend a year without a cell phone and computer. They can use the phone in the phone room and the computer in the library, so it’s not that I’m asking them to not have any connection with anybody. But it’s a pretty powerful way of saying: 'Let’s focus on what’s essential and learn to pray, study and be with other people and cultivate relationships'. “For the first two weeks it’s like an alcoholic when you take away their drink; they don’t know what to do with themselves. They want to send messages but they can’t. Rather than simply creating a ghetto, Jonah’s aim is to challenge students' thinking. It’s for this reason that they are allowed their technology back in the second year. He believes the success comes in teaching people to make conscious decisions about their technology, rather than allowing gadgets to subconsciously influence the individual. In proposing technology fasts, Jonah’s aim is not to eliminate freedom, but to help people recover it. A technology fast is just to say there are times and places so dense and concentrated with meaning that they can’t be interrupted and I want to respect that. Radio took 38 years to reach one million users. TV took 13 years. Facebook added over 200 million users in less than one year.